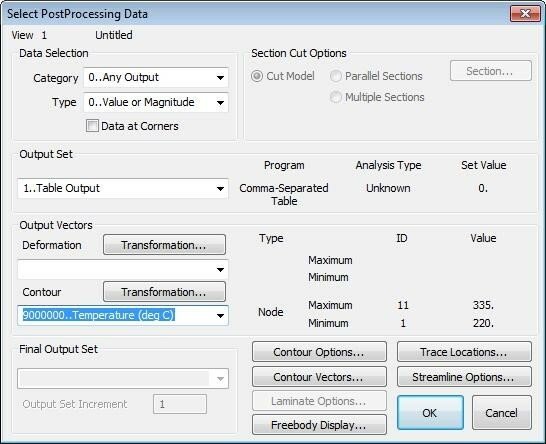 Sometimes element or nodal temperature distributions that are created by thermal solvers are only available in the form of a spreadsheet. 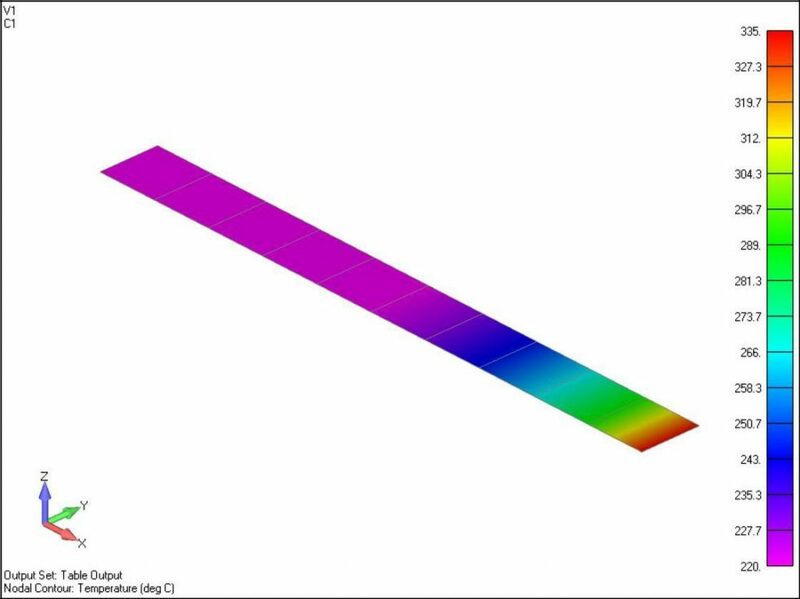 We would like to take these values and turn them into a load case for subsequent analysis, so let’s see how to do this in Femap. 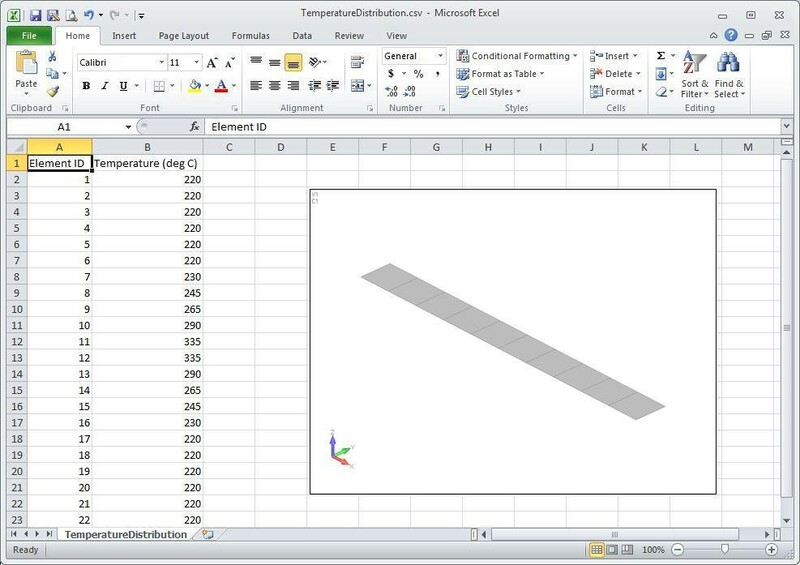 The demonstration model for this is a very simple strip of ten quad elements, and we also have a temperature distribution in the form of a spreadsheet, which has actually been saved in a comma delimited format. 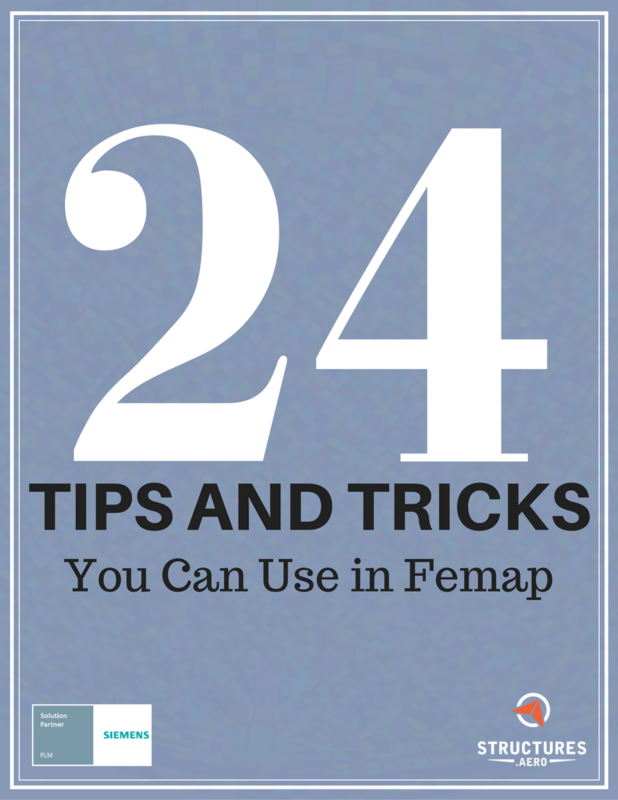 These temperatures can be imported into Femap in the form of a results vector. 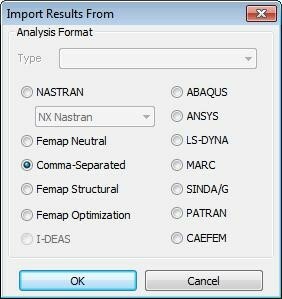 In the menu select File / Import / Analysis Results… and in the resulting Import Results From dialog, select Comma-Separated. Click OK and browse to select the spreadsheet csv file that contains the temperature distribution data. 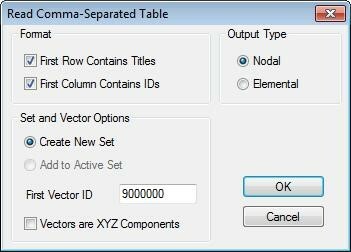 In the Read Comma-Separated Table dialog ensure that the format settings match the spreadsheet layout. For this example we are reading in nodal data, and we’ll create a new output set with an ID of 9000000. Click OK.
We can check the temperature values by plotting them out as if they were results vector values. Click the Post Data icon on the Post toolbar then select the vector 9000000. Temperature (deg C) in the Output Set Contour box. The next step is to convert this results vector into a load case. 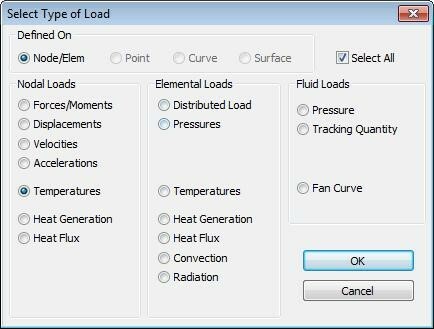 In the menu, select Model / Load / From Output… and enter a title in the following dialog, and click OK.
As this is nodal temperature data, in the Select Type of Load dialog, select Temperatures in the Nodal Loads column and click OK. In the subsequent Create Loads From Output dialog, pick up the temperature vector in the X Vector box, and click OK. The temperature load definition has now been created.